Put that dish soap down! As tempting as it may be to continue using dish soap to clean your car, you need to stop. You’ve invested in a pressure washer to wash your car, so you need to use a car detergent specifically formulated for cleaning your car to get the best results. Better yet, you should use a car washing soap for pressure washers. The best pressure washer detergents for cars will leave your car not only cleaner but also won’t do any damage to your car. In this article I will review a few of the best power washer detergents for your car and give you some tips on what to look for when buying. Let’s not forget that you are using chemicals on your car and not all soaps have your car’s best interest at heart. They might get your car cleaner, but some might actually be doing more harm than good. As I mentioned, some car shampoos, usually the cheapest ones, are not good for your car. 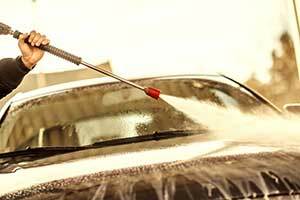 Some strip the sealants that are there to protect your car’s paint from the sun and elements. Other’s may not damage your car’s paint but can damage the environment. Look for a soap with a neutral pH balance of 7. The same pH as you would find in tap water. Over acidic or alkaline can strip the sealant on the pain of your car leaving it exposed to damage. If the soap is not advertised as pH balanced, then it likely contains some heavy duty solvents. This will eat away at your car. If you don’t use a pH balanced soap, be prepared to have to reapply the wax or sealant to protect your car. This may not be important to your car, but I believe that it is a must-have factor in choosing a car soap. It’s no sacrifice to the quality of the clean when you buy a biodegradable or even organic car wash detergent, so there seems to be no downside. 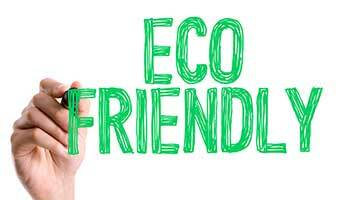 If you live in an environmentally sensitive area especially, it should be high on the list of must-have feature. There is some debate about whether you should look for a high foam soap or not. 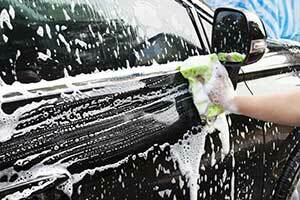 Most foam soaps will stick to your car and linger there long enough to lift the dirt and grime from the surface. A good snow foam type of detergent should work well to dissolve the dirt making it easier to wash off. However, just because a soap is foamy, doesn’t mean it is actually cleaning. Sometimes the foam is just there to make it look like it’s working! If your foamy soap doesn’t stick to the car and look like a meringue pie, then it really isn’t doing much. If you want that thick, sticky foam, hedge your bets and use a power washer foam cannon along with your foamy soap. If you have a Karcher power washer with the detergent system built in then this is exactly what you need to wash your car. Just drop it into the dedicated slot on your Karcher and it is ready to go. If you don’t have that system or have a different model power washer than Karcher, then you can buy a 5 L canister and use it with a foam nozzle or with a vacuum tube. This works great as a pre-wash foam that sticks well to the surface before you rinse. Giving it a few minutes before you rinse will help dissolve road film and other dirt and grime. Then a rinse to clear the soap and it will dry quickly. Without streaks, as well. It’s formulated to give the paint an extra bit of shine, without being a wax. The bottle will fit into any Plug and Clean Karcher model from K2 to K7. A downside to using this is that it isn’t cheap and the nozzle can use a lot of it quickly. Autoglym Pressure Wash Shampoo / Snow Foam contains a blend of balanced detergents, the Autoglym Pressure Washer Shampoo cleans without harming your paintwork, and is suitable for all pressure washers and snow foam lances. Highly concentrated pre-wash foaming agent designed to dissolve and carry away a high proportion of dirt and grime in a completely touchless fashion. Powerful enough to tackle more persistent road films that have gone through multiple wetting and drying cycles and become more firmly bonded. 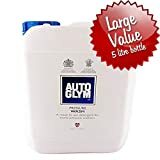 Specifically formulated for power washers and pH neutral, this car shampoo by Autoglym will give your car a deep clean without stripping the surface of any sealants or wax protection. It’s very concentrated so a pre-soak will work quickly to lift the grease from your car surface. It’s especially good against really stuck on grease. If you had a tough winter and feel that the dirt may be stubborn then this is a car shampoo you should consider first. Because of that deep cleaning power, it also works well on engines that have accumulated some stuck on oil. This car detergent works on all types of pressure washers. As long as it has a detergent nozzle or can be used with a vacuum tube, it will work fine. Non-caustic formula containing prime grade polymers and hyper-surfactants to carefully soften debris from your car. For a good, thick foam that will lift and remove layers of filth from your car, use what the pros use. 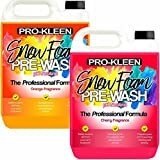 Pro-Kleen makes a great pH neutral snow foam for use with any pressure washer. It’s an ideal car shampoo for pressure washers as the foam also helps to soften the dirt on your car so it is easier to wash. If you have wheel rims that have a build-up of brake dust, then a soak with this snow foam will make short work of it. Works great on engines, bikes and even barbecues. Extremely tough on traffic film, yet non caustic and safe on car paint, Bilt Hamber is a guilt free way to clean your car. You may not get a thick, gooey foam that coats your car, but its an example of how you don’t always need a lot of foam when the formula works. Some of the thicker foams actually do worse when it comes to lifting dirt since the foam is so thick it doesn’t get properly softened. Bilt Hamber are very keen to point out that there is a 4% PIR or Panel Impact Ratio. This means careful mixing of the concentrated solution with water before adding it to your foam nozzle. Doing this with some care will result in excellent results with the added satisfaction of knowing that your bright, shiny and and clean car didn’t come with any harmful side effects on the environment. Or the paint. Valet Pro, as the name implies, is used by professional valets all over for top notch results. It’s one of the best selling car shampoos for power washers. Use it with a dedicated snow foam lance for best results. It can deliver a great clean even at 25:1 dilution ratio. For deeper cleans a 5:1 ratio works great. It’s pH neutral and does no harm to your paint surface. Even if you decide to not dilute and use neat with a spray foam nozzle, it still won’t strip away any sealants or wax. For those of you that get a thrill from seeing your car covered in a thick foam, then you won’t be disappointed with the snow foam from Valet Pro. Though, the results will speak for themselves that it isn’t just for show. The foam will still be wet enough, even when thick, to be able to dissolve traffic film and stubborn dirt.